The second issue of Original Sin didn't do much for me compared to the first issue. The Avengers take down another mindless one and are able to trace it's energy signature to a penthouse downtown. This is where we find the two shadowed figures from the first issue. The Avengers call in everybody they can to take down the villains and a number of more mindless ones. The first villain revealed is Exterminatrix the daughter of Doctor Midas. By the time the Avengers manage to take her down, two other villains make their presence known, The Orb and a weakened or ill Doctor Midas. The Orb reveals he does in fact hold one the eyes of the Watcher, but that he is not the one responsible for murdering him. The Orb explains that eye is a bomb, a bomb of secrets that once detonates will reveal all the secrets it holds, everything the Watcher has seen. Of course it starts to go off right at the end of the story. This went by too fast for me. Granted we do not yet know who the Watcher's killer is, we already figure out who holds one of the eyes. Just seemed to happen too soon for me. We find Black Panther, Emma Frost and Ant-Man are in subterra where they find a large number of monstrous creatures that have been dead for a long time or have just recently been killed, as if they were being hunted for sport or practice Punisher and Doctor Strange are in another dimension and find a similar scene. Both teams find evidence, one piece being an intact glowing green bullet. linking these kills to that of the Watcher. We do not see the team in space consisting of Gamora, Moon Knight and Winter Soldier and we get no further clues to whom put these three teams together and sent them out. I was hoping for something that pushed the mystery side of this a bit more but it was enjoyable nonetheless. We still have a lot of mystery and story coming. 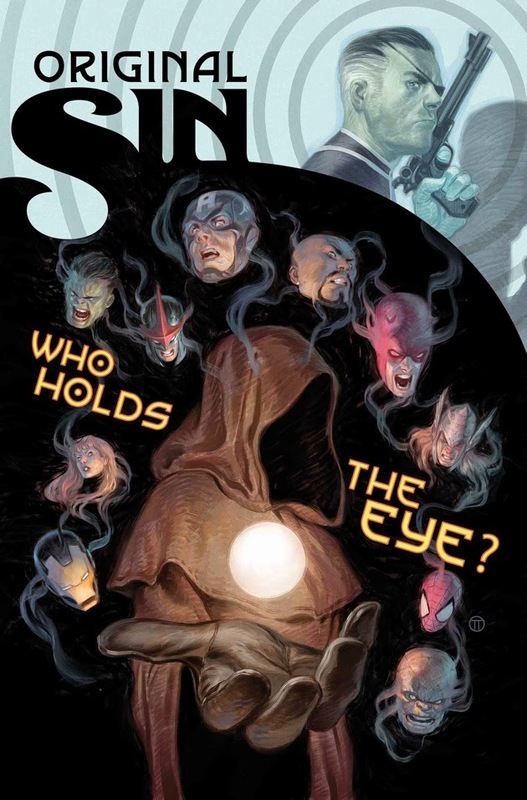 Who killed the Watcher, who has the second eye, who put these three teams together and what happens when all of those secrets become known. The two things I'm most interested in is how Captain America and Bruce Banner will deal with the Illuminati. I would zero problems with the two of them pulverizing Tony Stark into a unidentifiable bloody pulp, never seeing or hearing of him ever again.